Father’s Day is less than two weeks away. If you have a Disney Dad in your family that you still need to shop for, may I recommend my book Dispatch From Disneyland as the perfect gift. 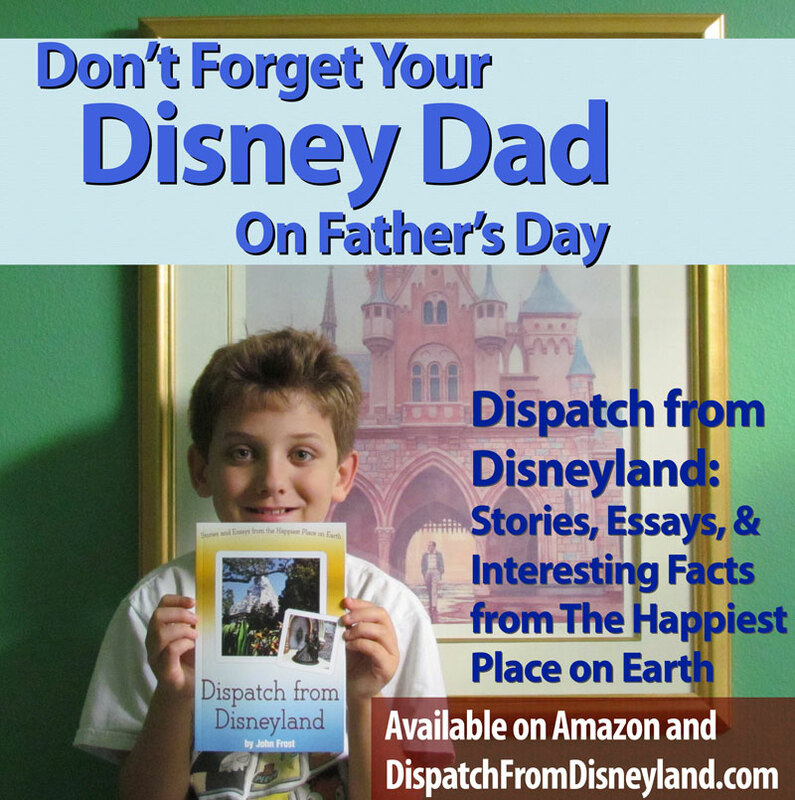 It’s full of stories, essays, and interesting facts about the Happiest Place on Earth that will keep Dad, and the rest of the family, entertained while dreaming of that next trip to Walt’s park. Print and Kindle editions of Dispatch from Disneyland are available on Amazon. For those who prefer to read books on their iPad, iPhone, Kindle, Nook, a tablet, or on their personal computer or laptop, a special ebook edition is also available for download. All three versions are easily deliverable by Father’s Day. The Kindle or the digital edition can be downloaded in 5 minutes and you’re ready to go. Your purchase of my book for yourself or others goes a long way to support The Disney Blog. I thank you for your support. 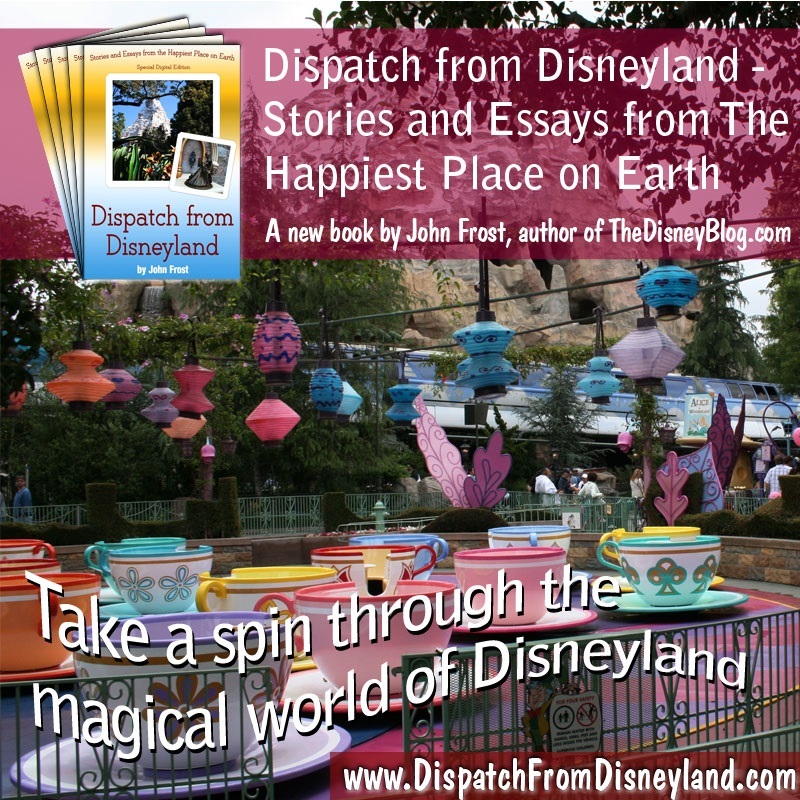 Take a spin through the Magical World of Disneyland in “Dispatch from Disneyland.” I wrote most of the stories and essays while visiting Walt’s park. (You wouldn’t believe how hard it is to type while on the teacups 🙂 ). I think it helped me deliver the intimate, you are there, feel that many reviewers have remarked upon. You could be enjoying these heart-felt stories and essays on your mobile device in just a few moments when you download the special edition eBook. Still want the print or kindle version? It is also available on Amazon.